Billionaire Lei Zhang‘s Hillhouse Capital Management recently filed its 13F for the reporting period of June 30. 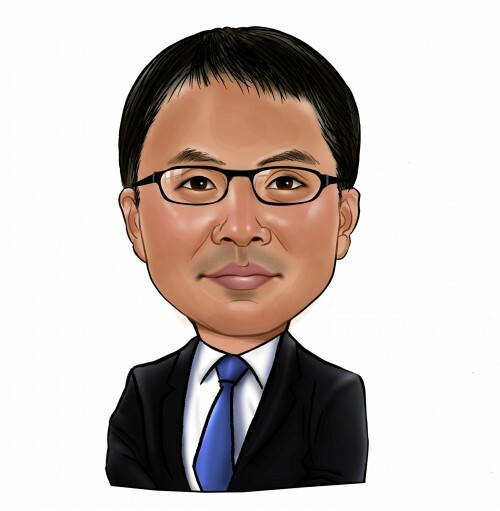 Hillhouse Capital Management was founded by Zhang in 2005, and within a span of ten years it has become one of the largest hedge funds operating out of Asia, with over $18 billion in assets under management as of December 2014. According to the fund’s latest 13F, its U.S public equity portfolio was worth almost $6.49 billion at the end of June. Although Hillhouse Capital had positions in over 30 stocks, its top ten holdings accounted for the vast majority of the portfolio’s value, at 97.48%. The fund had low turnover of 18.75% during the second quarter, having initiated a stake in six stocks, made additional purchases in four stocks and reduced its holdings in seven stocks. In this article we are going to focus on Hillhouse Capital’s favorite North American companies at the end of second quarter, which were Mondelez International Inc (NASDAQ:MDLZ), Cameco Corporation (USA)(NYSE:CCJ), and Mobileiron Inc (NASDAQ:MOBL). Hillhouse Capital Management is just one of more than 700 hedge funds that we have in our database, whose equity portfolios we collate quarterly as part of our small-cap strategy. Even though most smaller investors believe that tracking 13F filings is a fruitless endeavor because they are filed with a delay of a maximum of 45 days after the end of a calendar quarter, the results of our research prove that is not the case. To be on the safe side, we used a delay of 60 days in our backtests that involved the 13F filings of funds between 1999 and 2012 and we still managed to gain an annual alpha in the double digits. Moreover, since the official launch of our strategy in August 2012, our small-cap strategy has obtained returns 118%, beating the S&P 500 Total Return Index by greater than 60 percentage points (see the details). Mondelez International Inc (NASDAQ:MDLZ) represented Hillhouse Capital’s second-largest equity holding and its biggest bet on a North American company at the end of the second quarter. The fund made no changes to its stake in the company during the April-June period, continuing to own slightly over 9.3 million shares of Mondelez International Inc (NASDAQ:MDLZ) worth $382.66 million as of June 30. Renowned activist investor Bill Ackman‘s firm Pershing Square Capital recently revealed that it had acquired 120.27 million shares or 7.5% of the outstanding shares of Mondelez International Inc (NASDAQ:MDLZ). According to Mr. Ackman, the company can significantly increase shareholder value by reducing costs, improving revenues, and selling itself to a strategic acquirer. Although Mondelez International Inc (NASDAQ:MDLZ) has been working towards reducing costs in the past few quarters, several analysts on the Street agree with Mr. Ackman that the company can do more. On August 13, analysts at Canaccord Genuity reiterated their ‘Hold’ rating on the stock, while upping their price target to $44 from $38, which represents a potential 4% upside to the stock’s current trading price.